The Mathematics Department is a very strong department that strives to offer a well-balanced diet of investigational, practical and traditional Mathematics teaching, thus providing an excellent educational experience for all students. 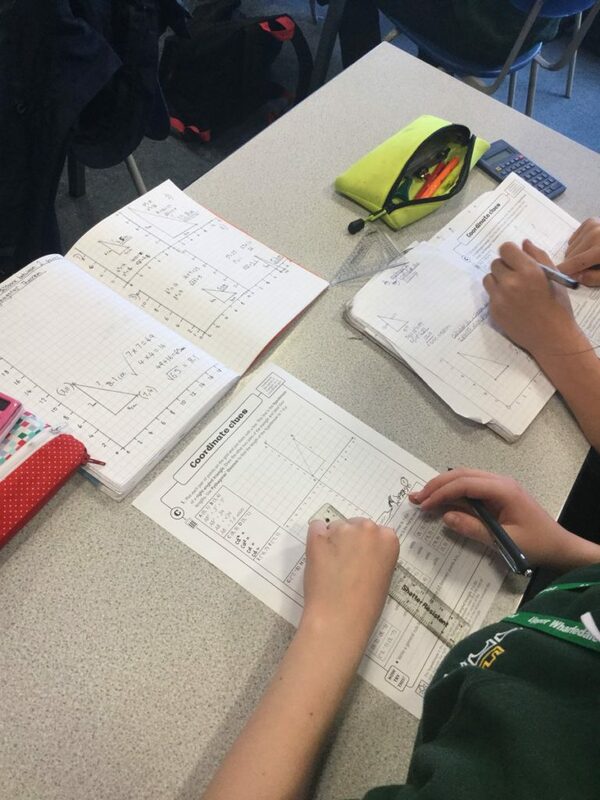 We aim that all pupils, whatever their ability, should experience the pleasure of mathematical success, achieve their best, and be equipped with the mathematical skills required for life. Currently, the department consists of three highly qualified and experienced teachers who work extremely well as a team. The Department won the award for “Outstanding School Teaching Team of the Year” at the North Yorkshire Secondary Teaching Awards 2017. The Mathematics Department has always achieved impressive results. In 2017, 85.5% of students achieved grade 4 or above in the GCSE with 20% achieving grade 7, 8 or 9. The progress 8 score of 0.7 placed the Mathematics results in the top 10% nationally. Students receive 7 one-hour lessons of mathematics per fortnight. There are 3 groups in each year set by ability but we aim to stretch all students. Pupil progress is monitored twice per term to ensure that students are appropriately placed. As each group follows a similar sequence of topics, movement between groups is always possible. KS3: Students work is regularly marked. There are 5 major assessments each year. KS4: Students work is regularly marked. There are 5 major assessments each year. Students sit there first trial exam at the end of year 10. The second trial exam is sat in December of year 11. KS3: Students are set 1 piece of mathematics homework per week. KS4: Students are set 1 piece of mathematics homework per week. Students are further encouraged to research and revise topics on the Mathswatch website. More able students are entered for the UK Maths Challenge annually. Revision classes for year 11 are held regularly after school.